Are you newly diagnosed with diabetes, or struggling to control your blood sugar? If so, DMSE/S programs can help! 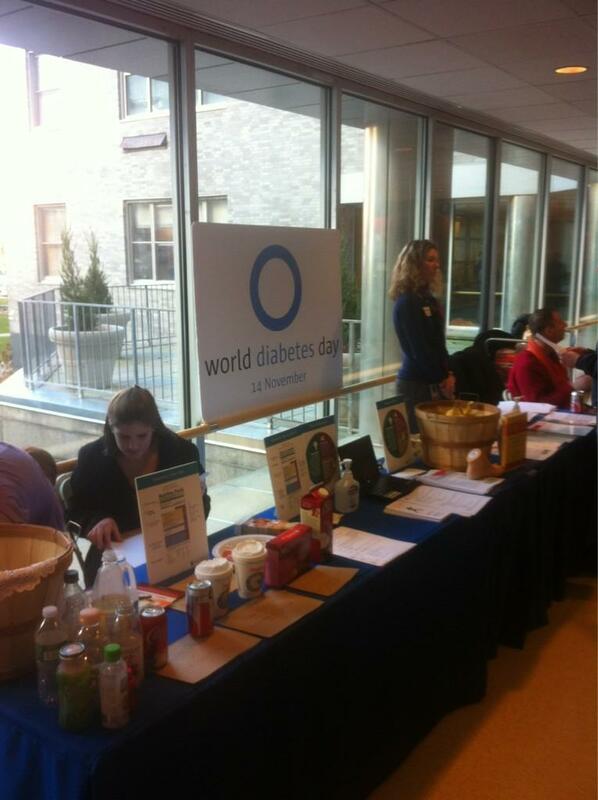 Diabetes is a chronic, complex disease. Self management is key, but what does that even mean? Where do you start? Self Management is the ‘taking of responsibility for one’s own behavior and well being.’ Living well with diabetes means you need to learn new skills and behaviors. This can seem overwhelming during an already stressful time. DSME/S programs teach you the self management skills you need to truly thrive. You will first see a nurse or nurse practitioner (who is often usually a Certified Diabetes Educator or CDE). You will either continue to see that clinician by yourself or attend group classes with other people just like you. Group classes are a great way to learn and be supported by people who know what you’re going through. You are not alone! During appointments or classes, you will learn about important topics like nutrition, exercise, medications and more. You will also set specific behavioral goals to work towards between each visit. Research has shown that DSME/S works. It can lower your A1C and stop complications from happening or getting worse. Attending can also improve your quality of life and keep you out of the hospital. Major organizations like the American Diabetes Association, American Association of Diabetes Educators and the Academy of Nutrition and Dietetics all believe that everyone with diabetes should have DSME/S at some time in their life. Mass General DSME/S programs are offered at Chelsea, Revere, Charlestown, Internal Medicine Associates, Diabetes Associates and Bulfinch Medical Group. For more information, contact Jen Searl at jsearl@partners.org. 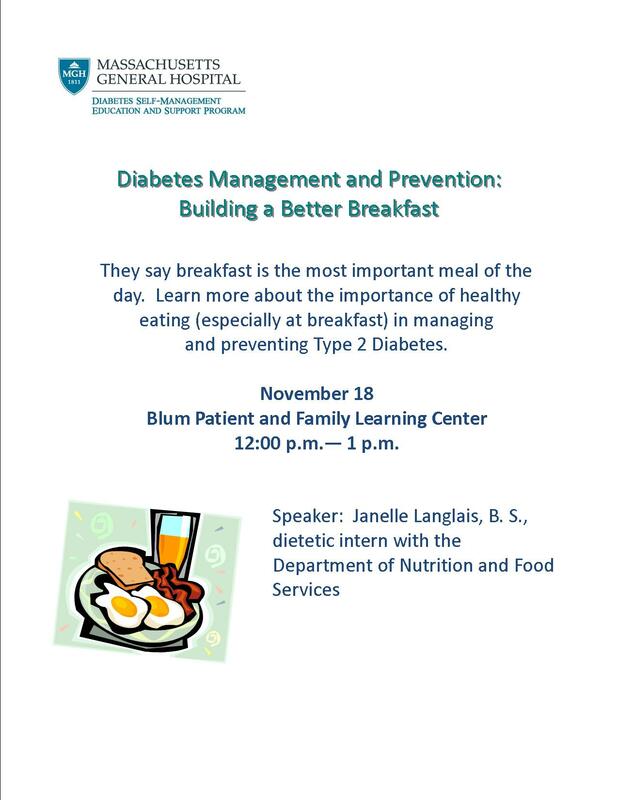 Thursday, November 13 10:00 am—3:00 pm MGH Main Lobby near Coffee Central This year’s event will focus on developing a healthy lifestyle and preventive care. Talk to an exercise physiologist about your fitness goals. Ask our dietitians questions about food and nutrition. Learn about stress reducing techniques and get a free massage. Plus trivia, games and prizes! For more information, please call our flu hotline at 877-733-3737. You can also visit www.massgeneral.org/flu or www.facebook.com/massgeneral for more details.